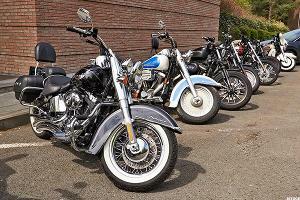 The Harley Davidson (HOG) rally run may be near an end. Shares of the iconic motorcycle manufacturer have formed a classic topping pattern on the daily chart. My technical take featured on TheStreet.com this morning.